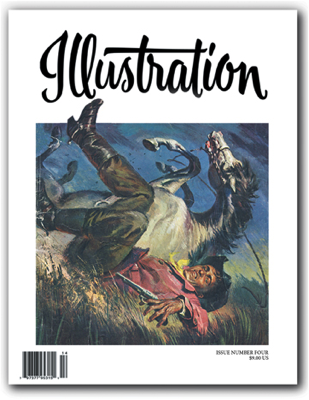 In this issue: The work of illustrator Sam Savitt: Painter, Author, Teacher and Horseman; magazine and paperback book cover illustrator Stanley Meltzoff, who later in life became known as masterful wildlife artist, painting fish in the deep sea. Book Reviews, Exhibitions and more round out the issue. 48 pages in full color. Sold out.